Richmond will serve as the UO’s Presidential Chair in Science. She specializes in chemistry, materials science and chemical reactions on liquid surfaces. “I’m delighted and honored to have been selected for this prestigious presidential chair,” Richmond said. “It’s a phenomenal tribute to the students who inspire me every day, and the many students and researchers who I have had the privilege to work with in my laboratory over these many years. An endowment fund to support at least two presidential chairs at the UO was established in 2005 with gifts totaling $5 million from an anonymous donor. The presidential chairs are intended to attract and retain distinguished faculty who excel in research, attract and teach top students and create an expectation of achievement that can elevate an entire academic department. The UO’s presidential chairs are administered and awarded by the provost, with the approval of the university president. Yong Zhao, a Chinese-born educator, was chosen in January 2011 to be the UO’s first presidential chair. Zhao, who had been a faculty member at Michigan State University, was appointed to serve as the UO’s presidential chair for global academic extension. He is a professor of educational methodology, policy and leadership in the UO College of Education. Richmond, a 28-year veteran faculty member, was appointed by President Obama to the National Science Board – the governing board for the National Science Foundation. 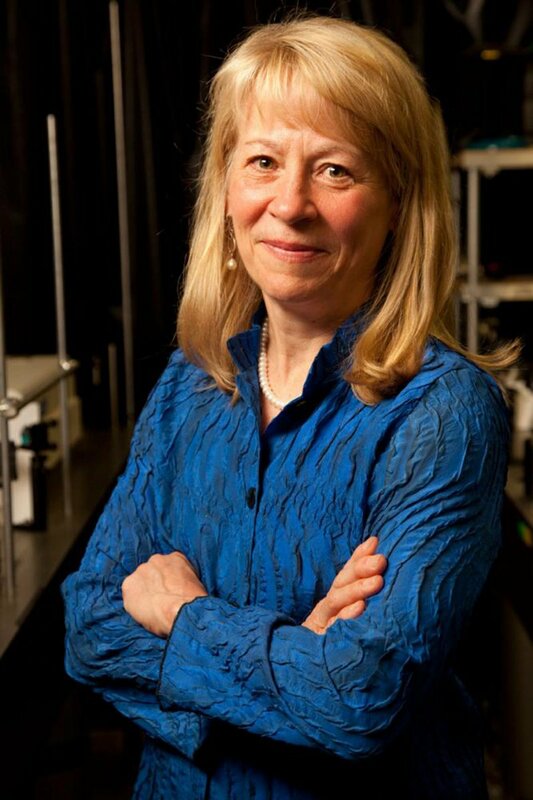 She was inducted into the National Academy of Sciences in 2011, and earlier this year was awarded the American Physical Society’s 2013 Davisson-Germer Prize in Surface or Atomic Physics and the American Chemical Society’s 2013 Charles Lathrop Parsons Award for her advocacy on behalf of higher education, science policy and women scientists. She is a long-time advocate for women in science, and co-founded the Committee on the Advancement of Women Chemists (COACh) to provide mentoring and support to women scientists around the globe. She is currently working on several projects with women scientists in developing countries. Richmond delivered the UO’s Presidential Research Lecture in May, addressing the essential properties of water – everything from the way water and oil interact to the ways in which water sustains life. She served on the Oregon State Board of Higher Education from 1999 to 2006. Before joining the faculty of the UO in 1985, Richmond was a professor of chemistry at Bryn Mawr College. She received a bachelor’s degree from Kansas State University and doctorate from the University of California at Berkeley.